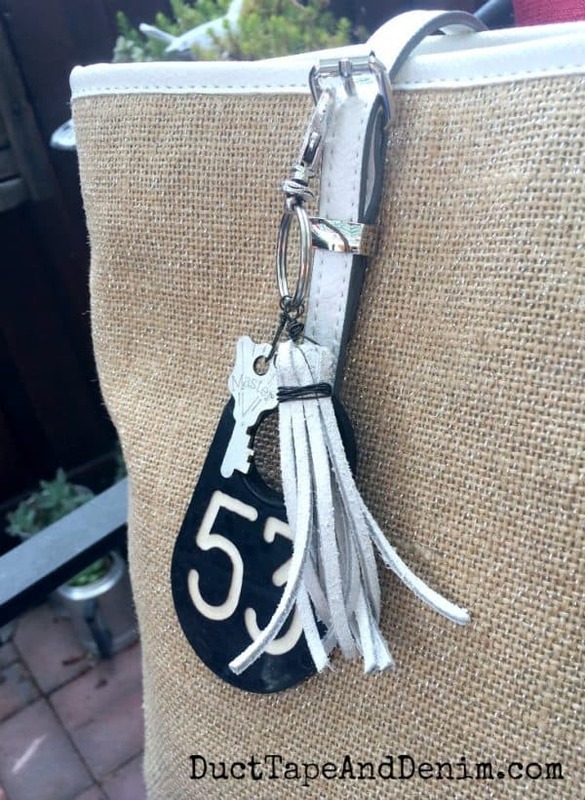 Today I’m going to show you how to make a leather tassel keychain. Actually, you can use these leather tassels on jewelry or other places, too. I just added mine to a keychain along with a couple of vintage pieces I found. 6mm small open jump ring – I actually would recommend getting a mix of sizes like this. They even come in a storage container. jewelry pliers & wire cutters – This is my favorite set & it’s VERY inexpensive. This will be much easier to show you than to try to explain so I included a Facebook Live video that I did a few months ago. I’d love for you to come join me on my Facebook page. I try to do a couple of live videos a week. Leather tassel starts at about 2:50 in the video. 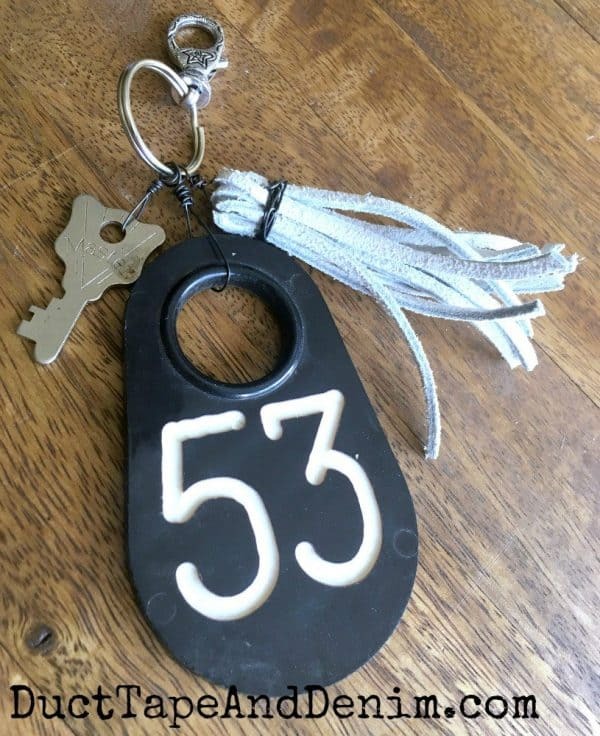 This is so stylish and a simple way to update your keychain. Cute! Thanks for sharing at the To Grandma’s House We Go DIY, Crafts, Recipes and More Link Party! Hope to see you again this week! Very cute idea! Thanks for sharing with SYC. I love the cow tag on the key chain. So different and fun! Thanks for sharing this on MM. Will be including this in a Mother’s Day roundup.